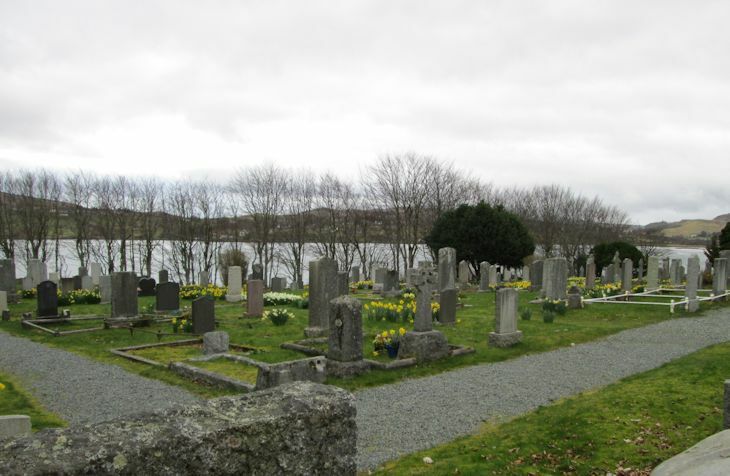 These burial grounds sit between the shore of Loch Portree and the main road in the southern outskirts of the town. The original Stronurinish burial is accessed via the Extension cemetery, which is serviced by a long lay-by on the main road. Inscriptions generally cover deaths from late 19thC to mid 20thC. More recent burials are in the Extension area.